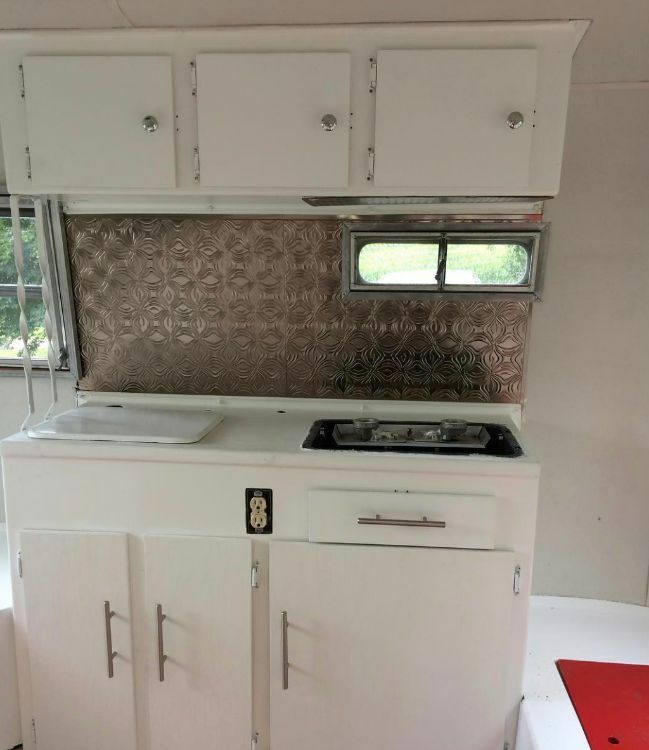 Hank the Boler is a 1974 trailer owned by Mag Doerner of Ontario, Canada. 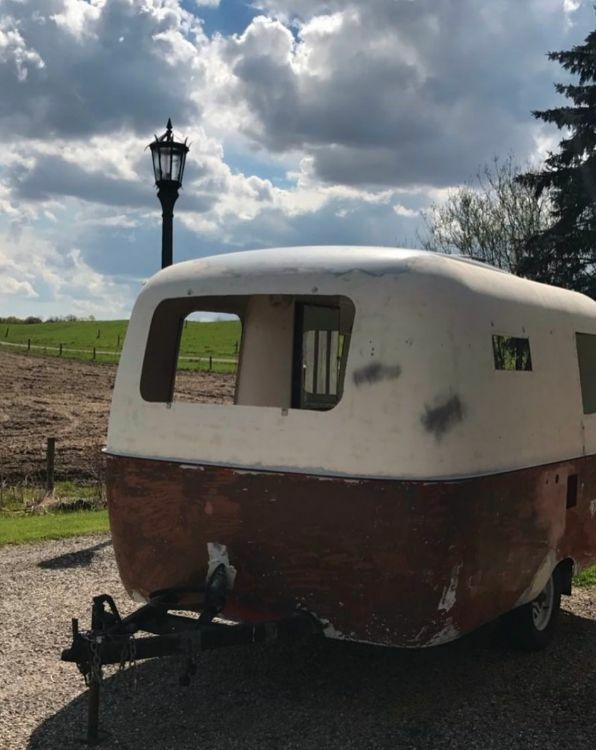 This little egg-shaped trailer was in desperate need of some tender loving care when he came into Doerner's live in May 2017, but thankfully, he was ready, willing and able to provide just that. The transformation of this trailer is nothing short of amazing, and Hank is now the sanctuary it was always meant to be. 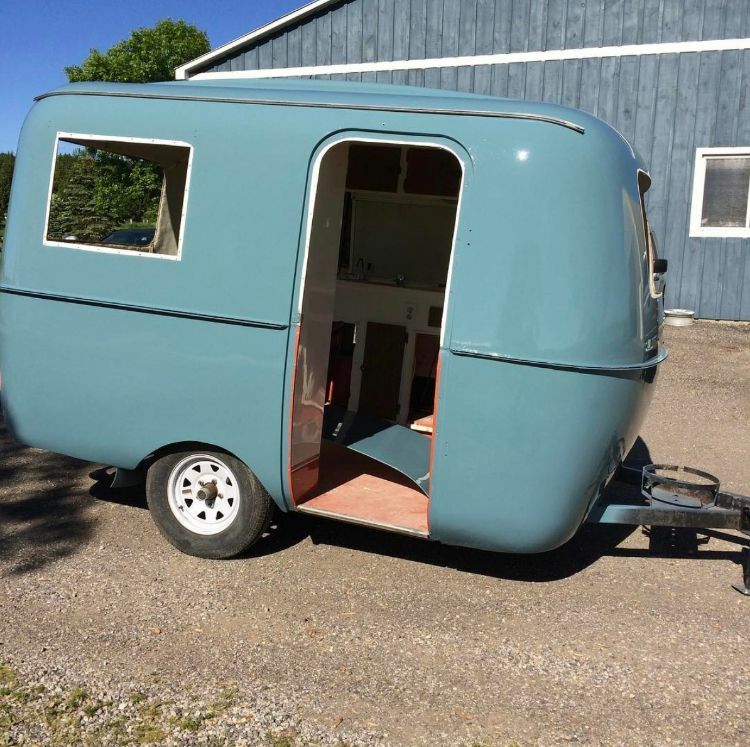 Boler trailers were one of the first lightweight trailers and were made in Canada by Ray Olecko from 1968 to 1988. 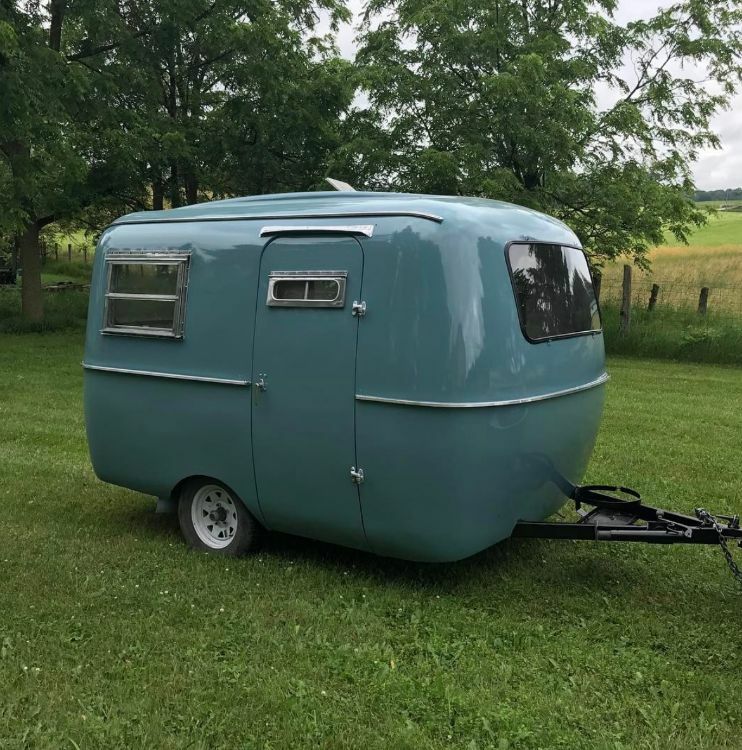 Olecko named his creation the Boler because he thought it looked like a bowler hat, but Boler enthusiasts often refer to them as "The Egg" because of their shape. 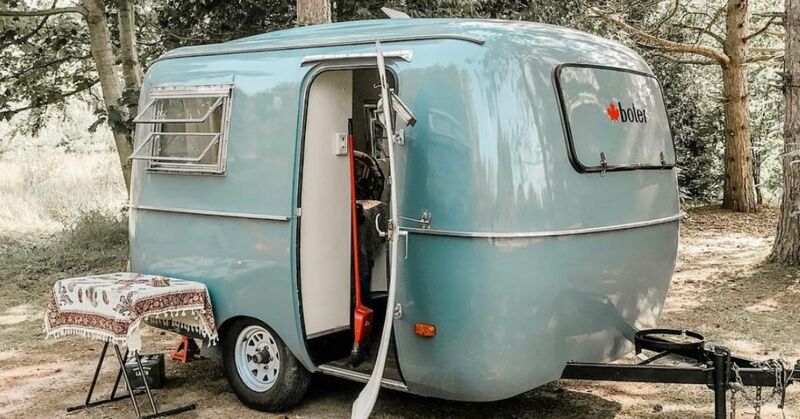 Bolers are made of fiberglass and were the lightest trailer on the road when they premiered. Depending on the model, they weigh between 850 and 900 pounds. Most, like Hank, are just 13.5 feet in length, and even today there are few trailers on the road that are as small and as lightweight as these. 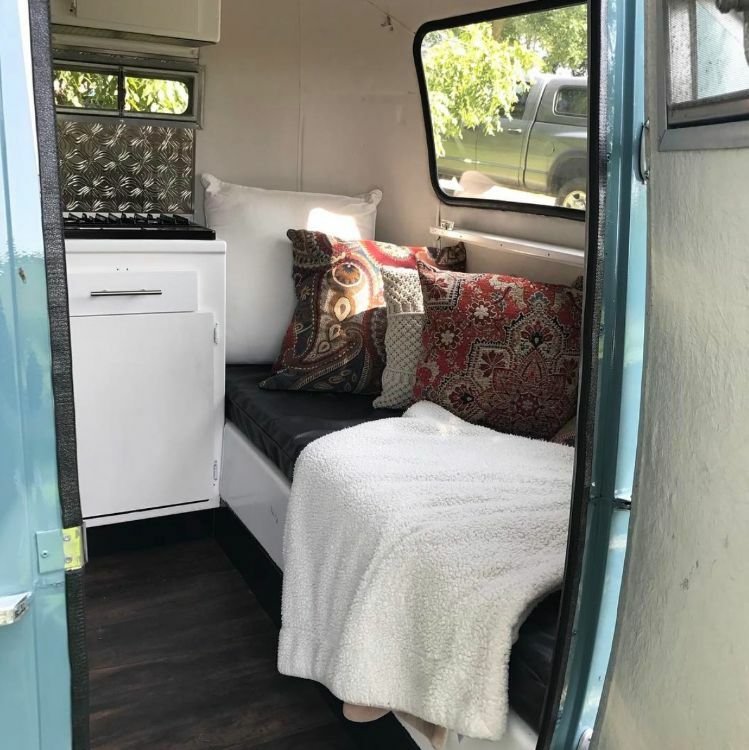 As a result, they are highly sought by camper hobbyists and many people, such as Doerner, are doing a fantastic job renovating them, updating them and getting them back on the road. About 10,000 were made during their production period, but it is unknown how many of them remain. Let's take a look at Hank and see what the trailer looked like when Doerner found it, and what it looks like now. When Doerner first took Hank home in May 2017, he was very excited and considers their union "the best day of [his] life." He soon found out that Hank had been in an accident at some point, and he had to realign the door, which he did first. 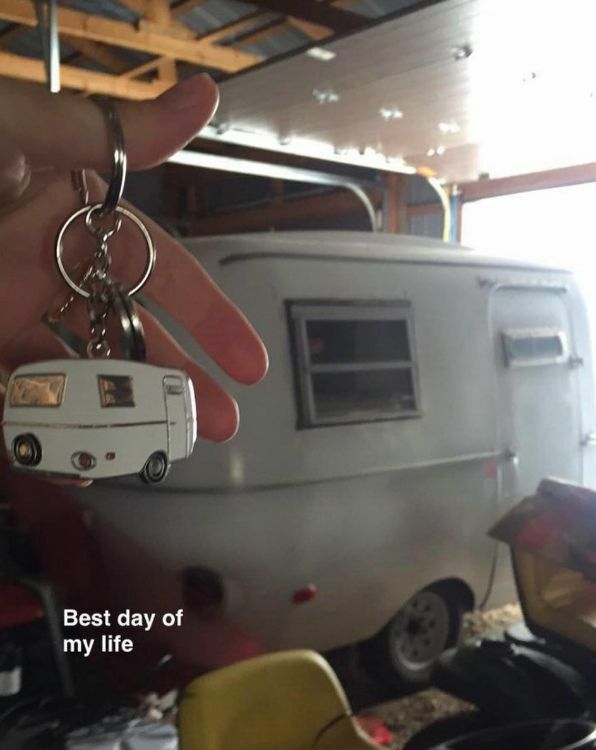 After that, he decided to sand off all the paint and get the trailer's body back to a fresh start. He uncovered three stubborn coats of paint during this process! The inside was very dated and that needed a lot of work too. It was functional but not very inviting or modern. Doerner ended up clearing out much of the inside and starting more or less from scratch. After scraping off all the layers of paint and putting on a new, bright blue paint job, things began to look a lot better for Hank. 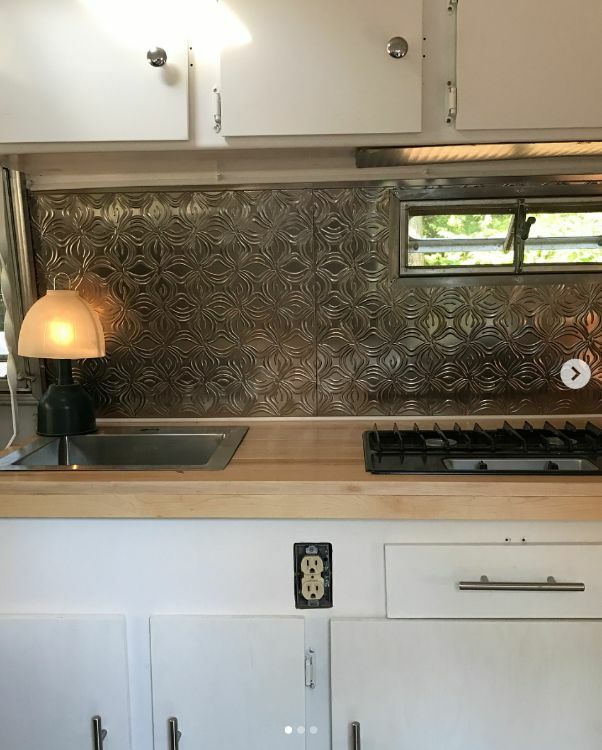 Inside, a new backsplash made of tin ceiling tiles fit perfectly between the upper cabinets and the countertop and stove. Doerner didn't even need to use any adhesive because they were just the right size for the space. This, plus the new cabinet hardware, really updated the kitchen area. Things began to move forward. A new countertop was another addition that really helped to improve the space. The wood Doerner chose for this accent was used wood flooring he bought secondhand. 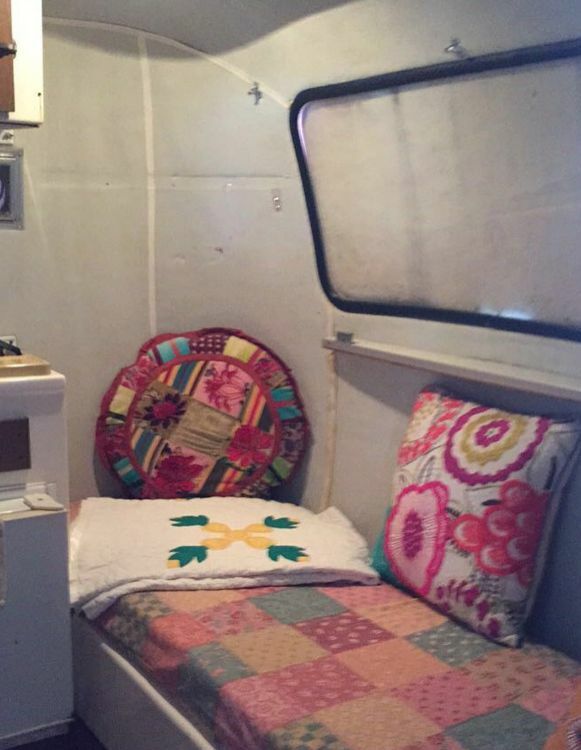 The interior is as beautiful as the exterior. The bed, although small, is comfy and welcoming. 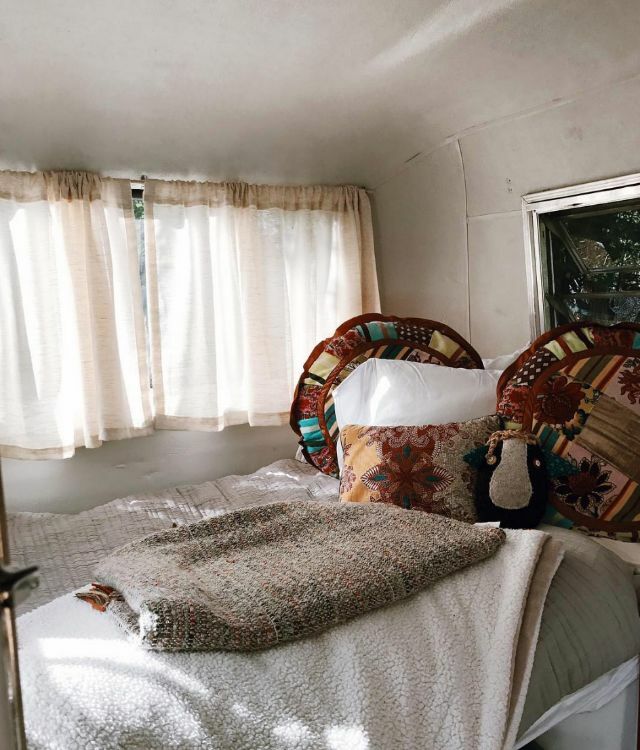 The collection of pillows make you want to crawl right in, and who doesn't love a serape blanket? There's room for two in this bed, and the white curtains allow light to filter in while still providing privacy. It's a truly beautiful place to awaken when Hank is parked amongst the trees or on the shore of a tranquil lake. The couch at the opposite end calls to visitors as well. From there, relaxing on pillows and nestled in a plush, white blanket, one can look outside at the beautiful scenery while reading a book or sipping a warm and calming tea. 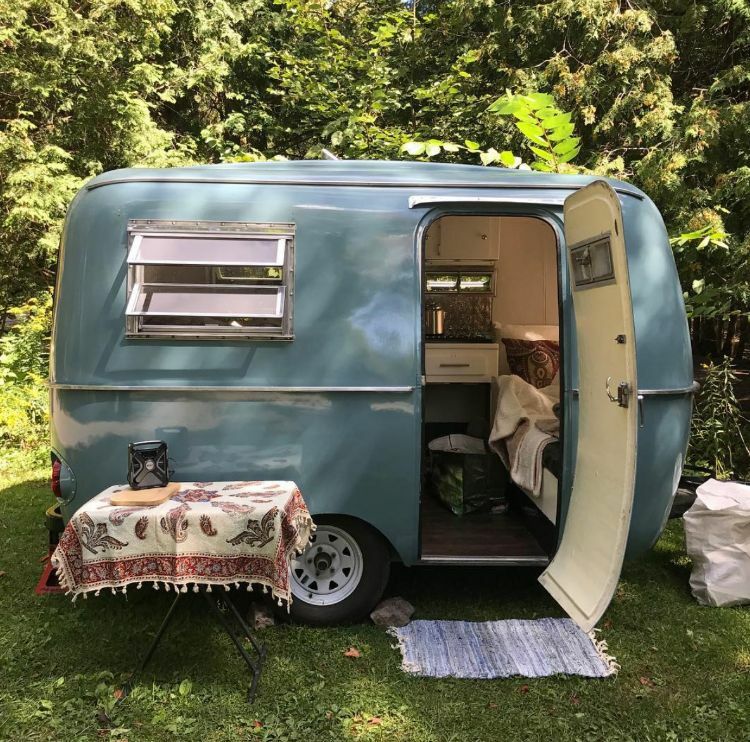 Hank the Boler is truly a lovely slice of heaven and happiness. 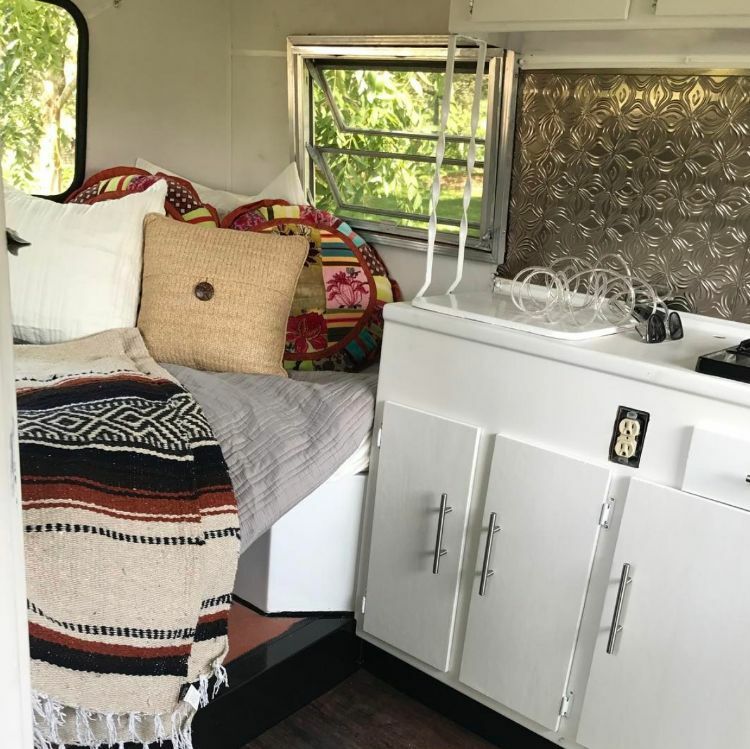 Doerner did an amazing job renovating the trailer, and his finished product is truly inspiring to anyone seeking to reinvent an old trailer into something that can be enjoyed both today and years in the future. Luckily its owner had the right skills, dedication and motivation to complete the project. 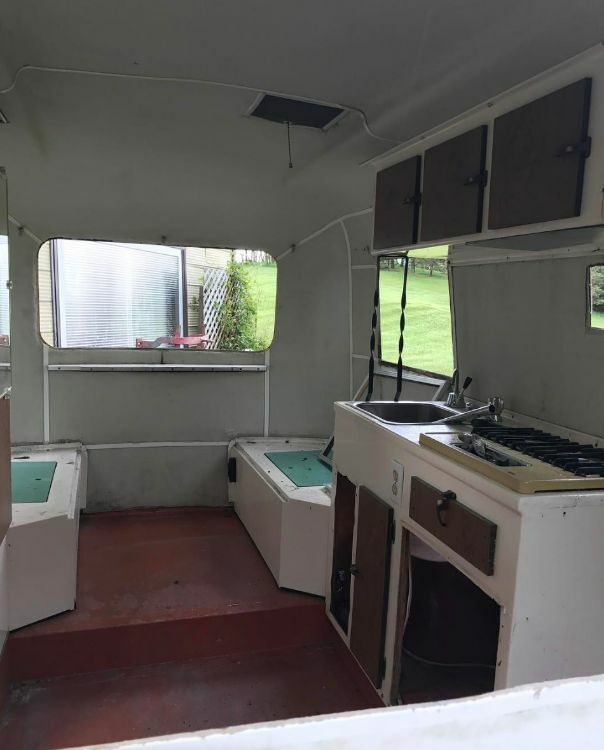 This popup camper was in great structural shape, but it looked seriously behind the times inside. 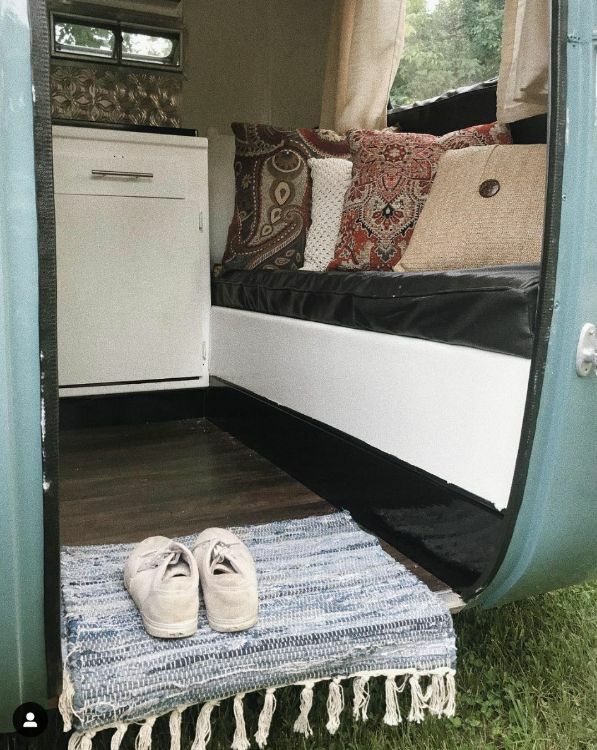 When a camping blogger took over, everything changed.